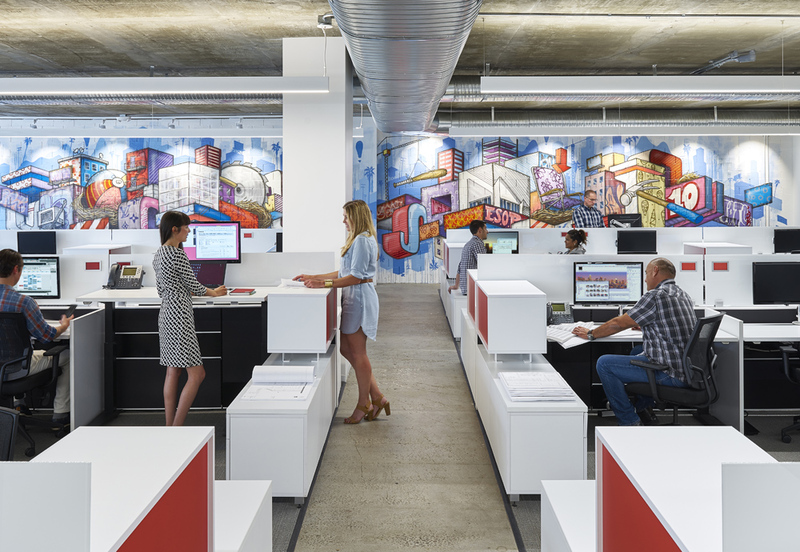 Open Format and Height-Adjustable Workstations Encourage Collaboration, Flexibility. 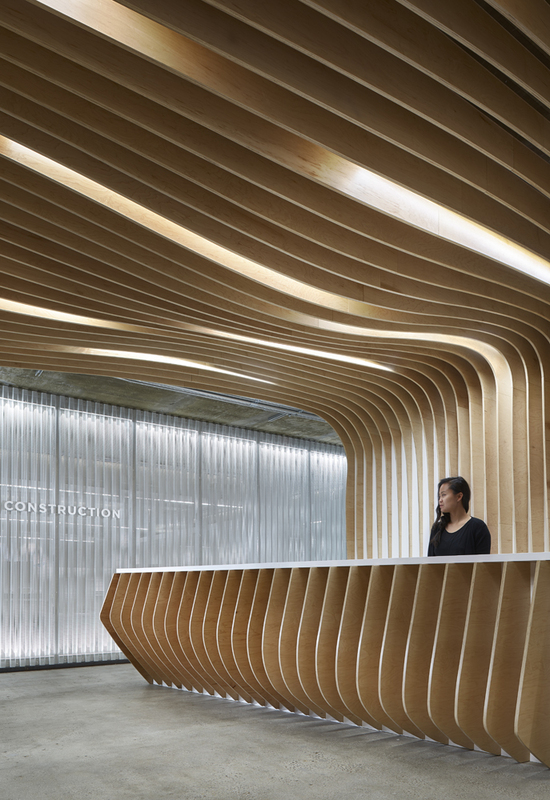 To accommodate their West Coast growth, A-List national construction management firm Shawmut Design and Construction, moved their offices into a 25,000-square foot space in West Los Angeles. 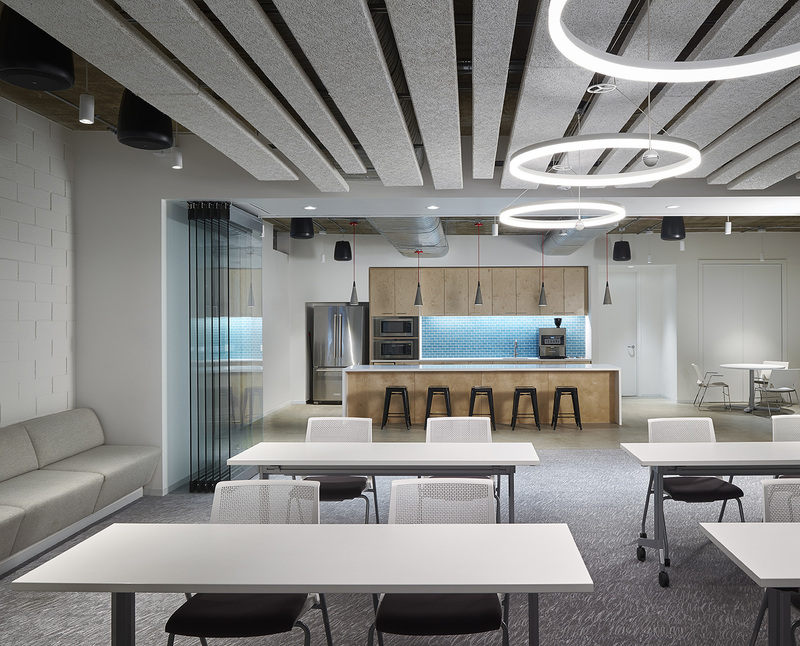 In order to build a modern space customized for their workflow and management structure, they partnered with Unisource Solutions. Our team was brought on for workspace optimization as well as to facilitate their workplace furnishing needs and source product representative of their brand. 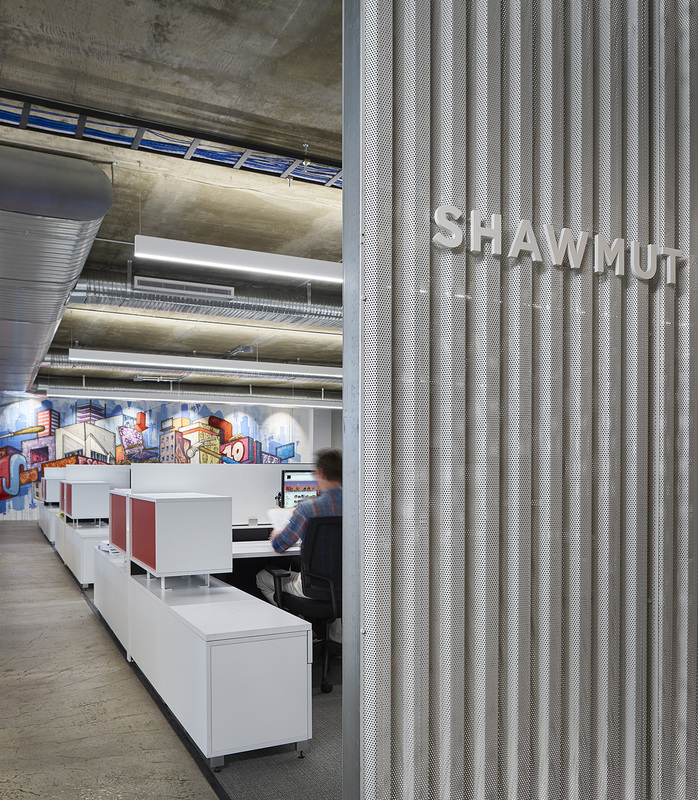 Shawmut’s goal was to create a contemporary, open, collaborative space that would engage employees and impress customers. As a result, we completely revamped the reception, kitchen, and main office area. We accommodated 60 work stations, three private offices, huddle rooms, conference rooms, a training room and a multi-purpose café. Well priced furnishings maximize functionality. Height-adjustable workstations have the option to be used as stand-up desks. Shared surfaces are large enough to accommodate drawings. Storage units integrate seamlessly into workstations. 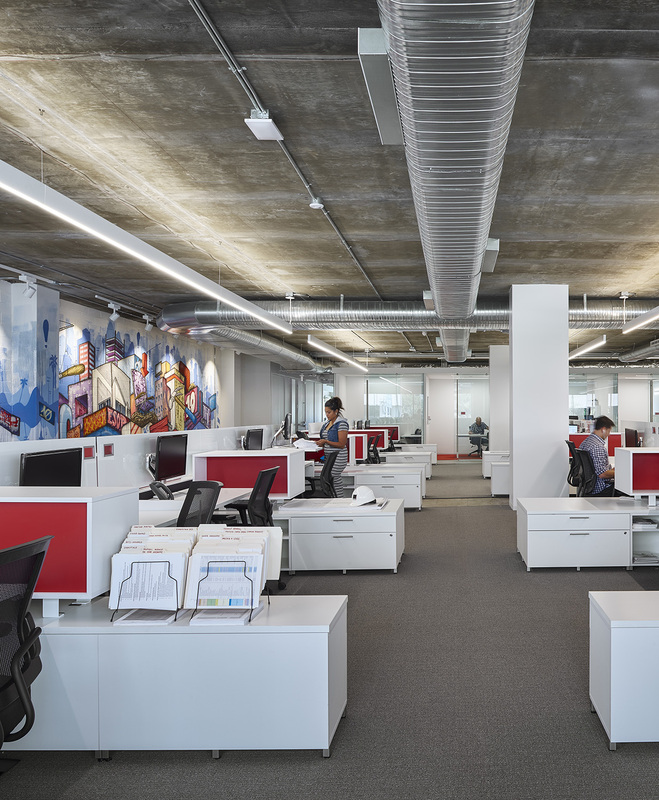 And to maximize natural light and create a sense of privacy, workstations feature low panel screens while offices and huddle rooms consist of full-height glass partitions. In addition, to allow management to fine-tune the design of individual workspaces, during construction, we mocked-up open workstations in their new space. This refinement strategy decreased the need for change orders for maximum savings. 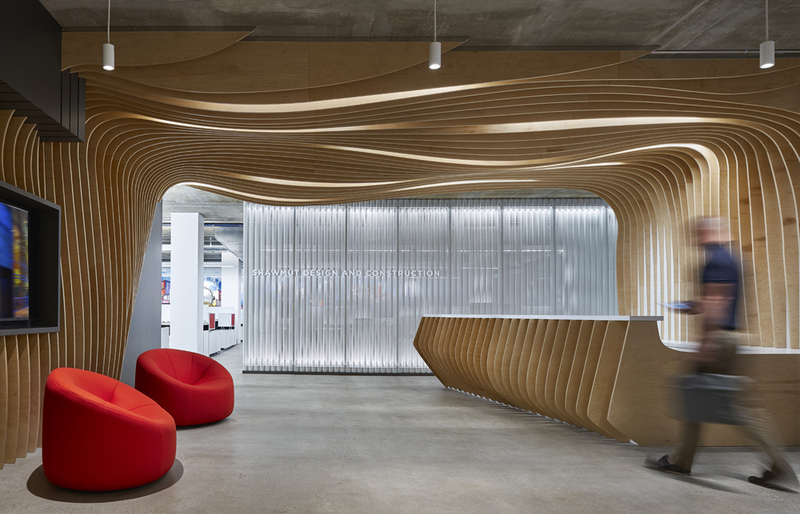 By sourcing a variety of furnishings from a diverse cross-section of manufacturers, and communicating with Shawmut each step of the way, we were able to hit each of Shawmut’s objectives exactly where they needed them — optimization of space, budgets, design intent, flexibility, collaboration, and brand identity. Whether you need mock-ups to develop and refine the workstation concept, furniture specifying or space planning, Unisource Solutions can help. Contact us for a complete list of workstations and furniture specified for this project or for a custom consultation for your business needs.